I arrived early, by about an hour, to the scheduled start time. The museum closed off the performance room. I waited near an hour. During this time, I watched Kevin, Taja, and a few museum hands set up their gear and then leave to await the scheduled start time. The room is dark, with heavy red and orange lights focused on the performance area. The equipment lights blink furiously telling the audience it is ready for use - and There are green lights being projected onto the ceiling, almost star-like but still foreign. Benches in the room are equipped with boost enhancers and for the few who were able to sit on those benches, their experience included vibration from directly under them. The room is packed to capacity. Hopeful onlookers are lined up outside the room all the way to the elevators. New people are only being allowed in if others leave. Kevin and Taja enter the room to applause and without a word they make their way to the performance stage and begin. The sound is at first completely overwhelming. Like stepping into a dimly lit room from daylight. My ears needed a few minutes to adjust to what I was hearing. It was abrasive, harsh, and more than anything, it was loud. The bass was so intense that even those in the back of the room could feel it through their entire body. For those sitting up front and closest to the origin of the bass, it shook us. After a few minutes of exposure I found the sounds strangely meditative but never really comfortable. As abstract as the sounds were, Kevin and Taja brought them unity. Just as one might even start to hear the beauty behind the mechanical and often alien-like noises, it radically shifts. New noise, new subtle beats, something in the background suddenly becomes the focal point and I found myself having to adjust multiple times to the new noise. The only thing I longed for in the performance was a view of the engine that was being played, which all of the gear had been wired to and rests in a large glass box in another room in the exhibit. The New York Times wrote an excellent exposé on Kevin just before his show at the Whitney opened which outlined a great deal of the history and motivation behind some of Kevin’s recent works. 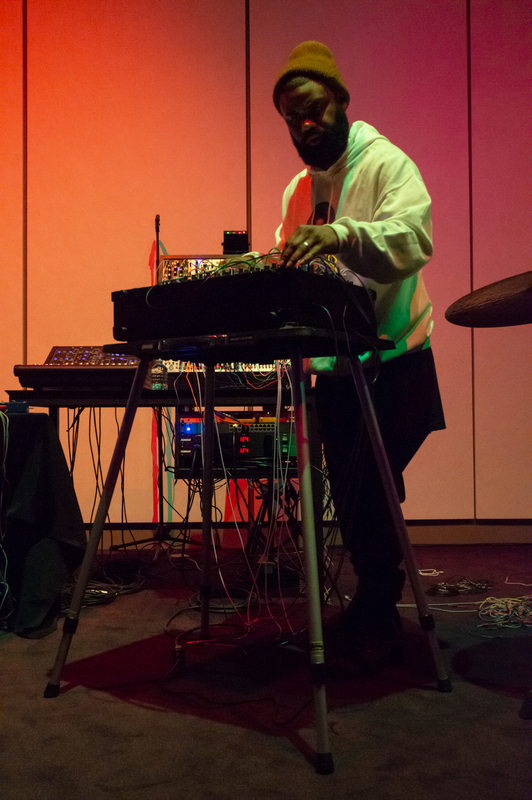 Themes of history, race, racism are strong in Kevin’s work and his use of technology and sound evoke strong ties to Afro-Futurism, especially to what Kodwo Eshun calls studio musicssince Afro-Futurist music is not a music of the street. Kevin called his current Whitney show and performance, A View of a Landscape, the most complicated thing he has ever done. Anyone in that audience could have seen and felt it. 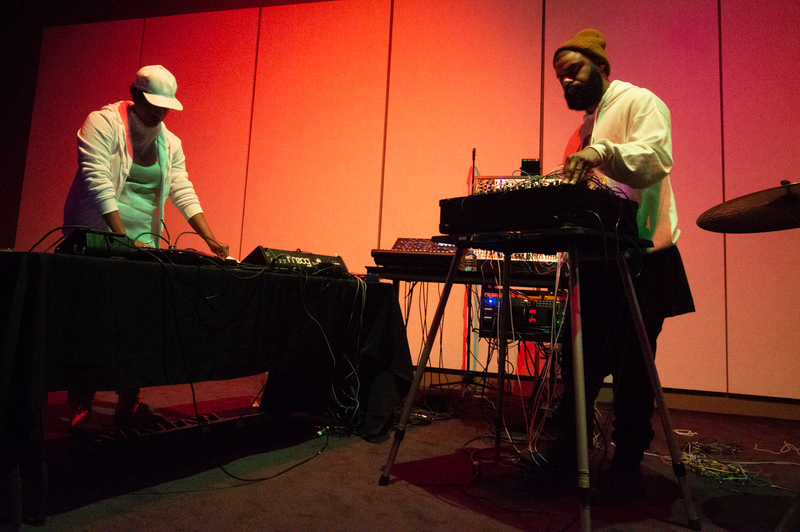 The performance was powerful and logistically massive – and deeply moving in new ways with previously unheard soundings.